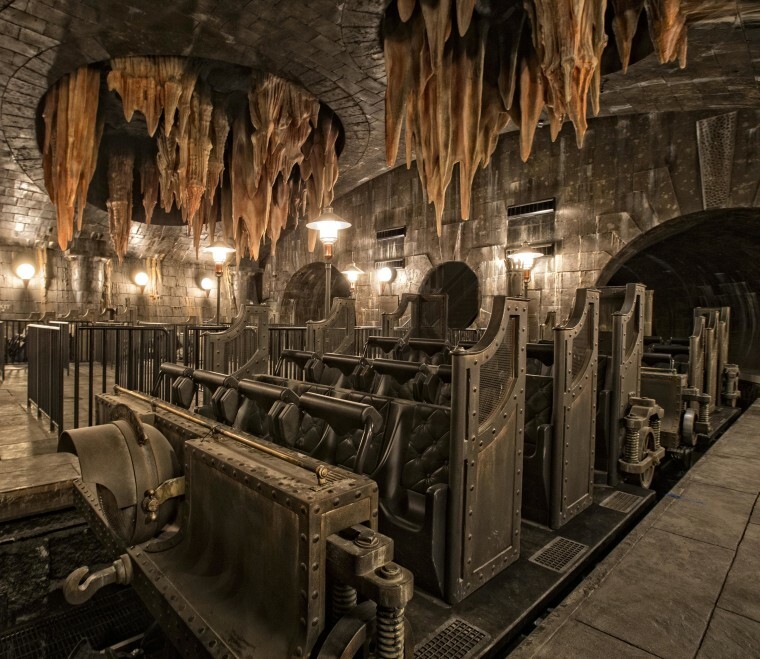 Universal Orlando Resort in Florida unveiled details Tuesday about the newest addition to its Harry Potter-themed world — a ride that will take park visitors into the heavily guarded Gringotts bank. The new thrill ride will be called "Harry Potter and the Escape from Gringotts" and will feature a 60-foot dragon atop Gringotts Wizarding Bank, a labyrinth of Gringotts vaults, a marble hall with goblins and even a face-to-face encounter with Lord Voldemort himself. The ride recreates a scene from the wildly popular book and movie series and is part of the new Harry Potter attraction at Universal Studios Florida, Wizarding World of Harry Potter — Diagon Alley. The new ride, along with the Diagon Alley addition to the theme park, will open this summer. The original Wizarding World of Harry Potter — Hogsmeade opened in 2010 at Universal's Islands of Adventure. The two Potter-themed sites will be linked by a working Hogwarts Express train, where riders may spot characters from the series, including Hagrid on a flying motorbike, the Weasley twins on brooms and the Knight Bus in London traffic. The trip will require a park-to-park ticket, currently selling for $136 vs. $96 for a single-park ticket.